Bull rider Trey Benton III, who finished a career-best third in the 2014 Windham Weaponry High Performance PRCA World Standings, has been out of action since the Wrangler National Finals Rodeo concluded Dec. 13 after having surgery on both of his knees.”I tore the ACL (anterior cruciate ligament) and MCL (medial collateral ligament) in my left knee at the Finals,” said Benton, 23. “I injured my right knee (a torn ACL) in September of 2012, but I never got it fixed.”Benton said Dr. Tandy Freeman performed surgery on his right knee Dec. 23 and then did surgery on his left knee Feb. 9. 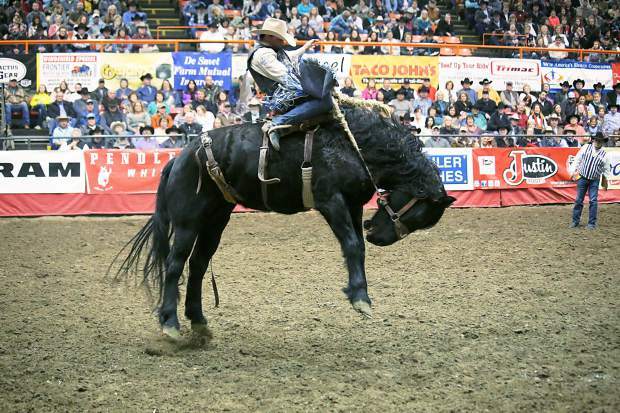 Benton is hopeful he can return to action at the Xtreme Bulls Tour stop June 30 in Cody, Wyo. The Idaho Rodeo Hall of Fame is seeking recipes for its upcoming recipe contest and Western Heritage Cookbook. The cookbook will be available to purchase during the Gooding County Fair and Pro Rodeo in August. Judging of the recipe contest will be based on the dish participants bring to the Gooding County Fair & Rodeo Grounds Aug. 21. Prizes will be offered for first- through third-place entries, and more than one recipe will be accepted.